Daniel Flynn, well-known auctioneer, pleaded guilty in federal court in Boston Wednesday to defrauding about 80 investors out of more than $20 million in a series of schemes going back a decade. Looking back, they realize the promise of a 15 to 20 percent return on their investments should have been a blazing red flag. But the promise came from Danny Flynn, one of the most charismatic and well-connected businessmen on the South Shore. 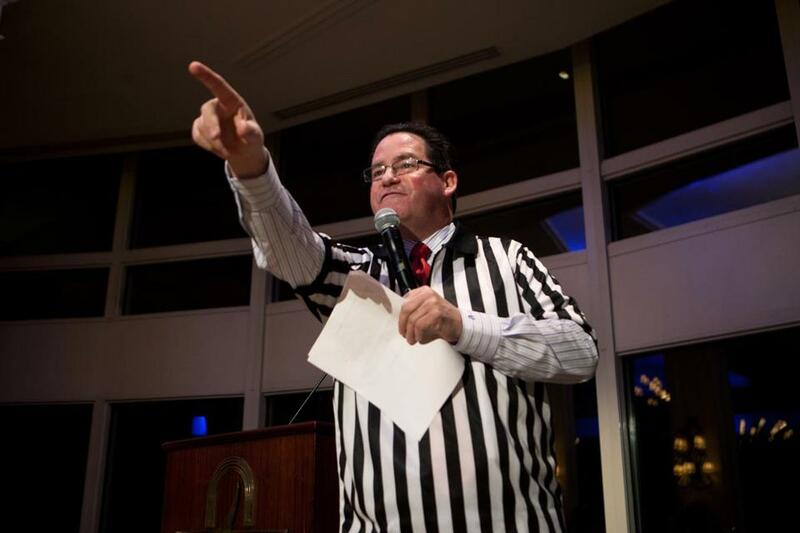 Funny, personable, and irreverent, he was a successful real estate professional by day and popular charity gala auctioneer by night, a side gig that let him mingle with legislators, corporate executives, celebrity athletes, and prominent philanthropists. Daniel J. Flynn III, of Milton, was also politically wired, part of the powerful, tightknit alumni community of Boston College, his alma mater. From all those networks, he found eager takers for his business pitches: Invest in real estate funds, buy distressed properties cheap, make loans with double-digit returns. If the proposal came from Danny — Mr. South Shore, real estate insider, product of the local Catholic schools — it had to be a sure thing, they thought. Those who felt a hint of doubt are now ruing their decision to override their gut. 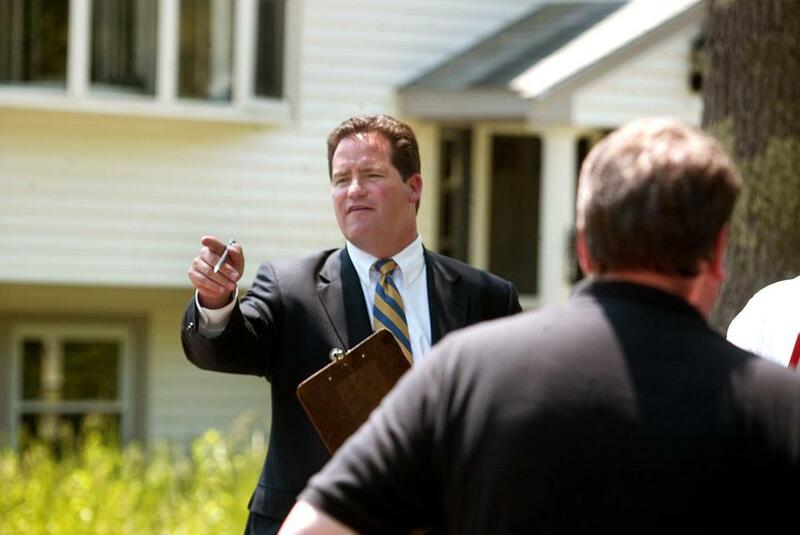 Dan Flynn took bids from prospective buyers during a foreclosure auction in Halifax. On Wednesday, Flynn, 53, pleaded guilty in federal court in Boston to defrauding an estimated 80 investors of more than $20 million in a series of schemes going back a decade. Many of his close friends are among his victims, who typically entrusted him with between $10,000 and $500,000. Few, if any, are expected to recover their money, and one of his business partners committed suicide. Prosecutors are requesting that Flynn, who will be sentenced on May 9, serve 70 months in prison and pay $21 million in restitution. Flynn’s impressive rise has been followed by a spectacular fall. During the foreclosure crisis, Quincy-based Daniel J. Flynn & Co. was reportedly conducting 3,000 auctions a year, making $10 million in annual revenue, and once sold 21 houses in 90 minutes at a municipal foreclosure auction. Now barred by the US Department of Justice from working in the real estate business, Flynn was until recently selling cars at a Quirk Chevrolet in Braintree. His seven-bedroom, 8,000-square-foot Milton home was foreclosed on and sold at auction last year, his wife and five children evicted. A divorce is underway. 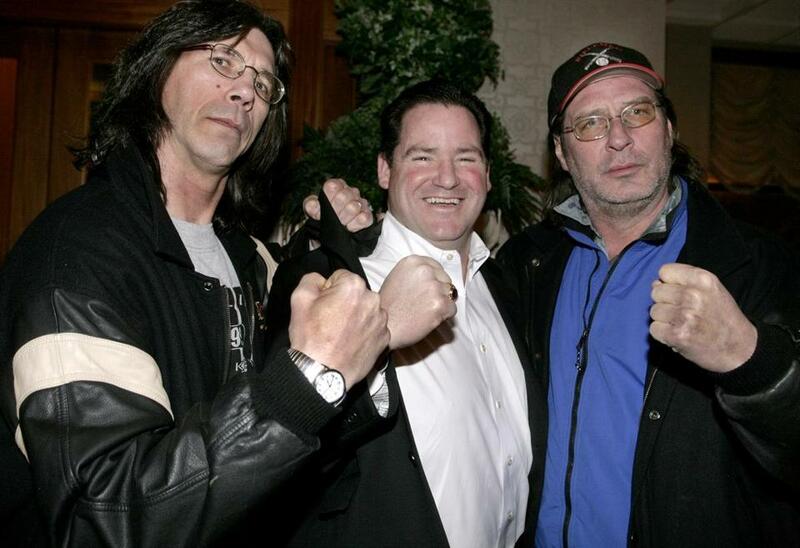 “He could drop a name here and there and before you knew it people were thinking, ‘Well, if he knows my cousin and my best friend he must be all right,’” said Sigmund Roos, the Boston attorney for three Hingham investors — Kevin Carroll, Peter Higgins, and Walter McDonough, who all declined to comment — collectively owed more than a million dollars by Flynn. 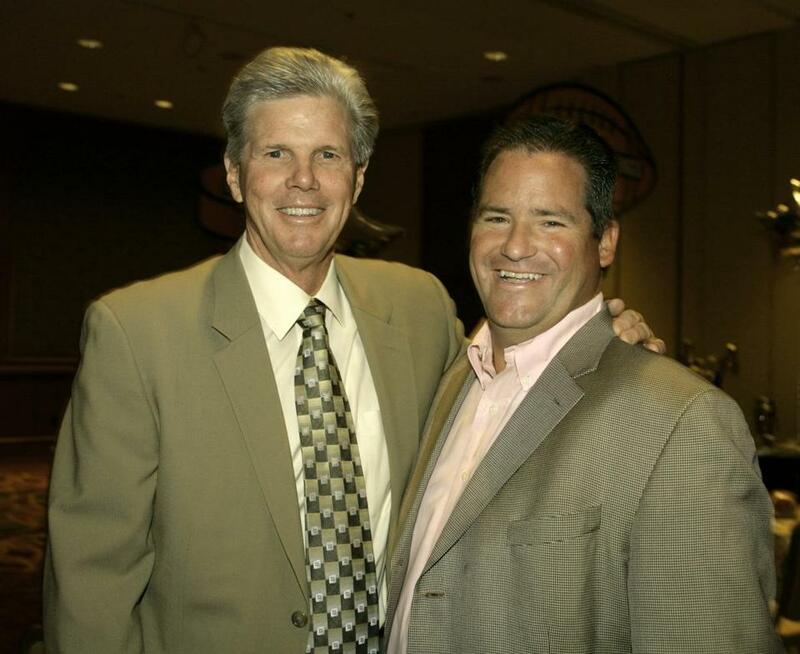 Dan Flynn (right) posed with former Red Sox player Mike Andrews at a WEEI/NESN fund-raiser at the Boston Marriot Copley Place in 2006. Reached in person at her Milton rental home, Flynn’s estranged wife, Margaret, a registered nurse, said “absolutely not” when asked if she was willing to talk about his situation. Even sophisticated investors put their trust in Flynn, who was, after all, a childhood friend of the mayor of Quincy. His victims include the Quincy construction firm Lee Kennedy Co. and Thomas Niedermeyer, cofounder of Liberty Square Asset Management in Boston. Neither could be reached for comment. 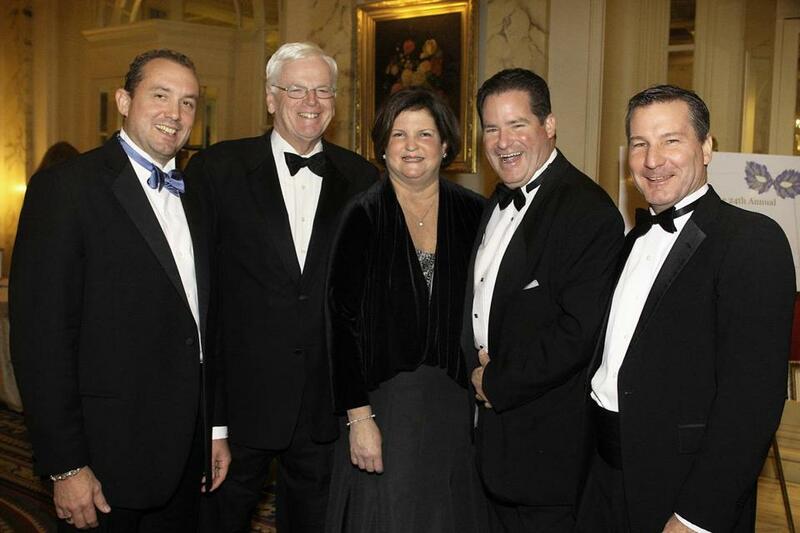 At the Boys and Girls Club of Dorchester Grand Carnivale Gala, held at the Fairmont Copley Hotel, Dan Flynn (second from right) posed with officials from the organization, including Lee Michael Kennedy (left), who is CEO of a construction company Flynn defrauded. “I know there’s a lot of scum out there in the world, but to have a friend, and a friend to your kids, do this intentionally blows my mind,” said John McNamara, 78, a Chestnut Hill retiree who gave Flynn $100,000 — money that came partly from selling his family’s Brighton funeral home — for what Flynn said would be the purchase of a hockey rink. “He explained to me that because of the auctions he did he kind of had an inside track to banks that would tip him off to troubled properties,” McNamara recalled. Flynn promised to repay McNamara, a fellow BC graduate, with 15 percent interest. Monthly checks arrived for a while, then began coming late, then stopped entirely, McNamara said. 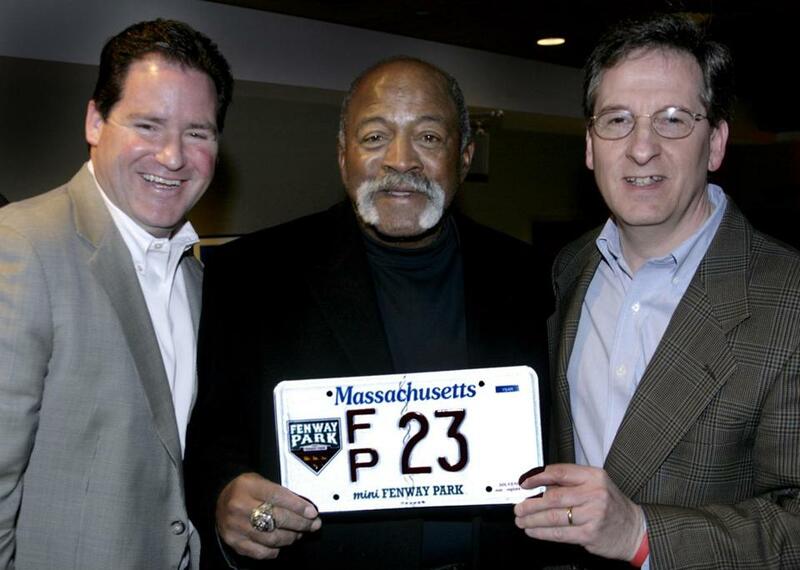 Dan Flynn posed with former Red Sox pitcher Luis Tiant and Ron Lacobucci of Quincy during a license plate auction event at Fenway Park in 2007. Flynn’s pitch to McNamara was one of his common tactics, prosecutors say: claiming that his knowledge of the real estate market — he was a realtor and developer as well as an auctioneer — put him in a unique position to know about promising investment opportunities. At the same time, Flynn’s reputation as an in-demand charity auctioneer gave him access to hundreds of deep-pocketed potential investors. The Jimmy Fund, Boston Ballet, Boston Bruins Foundation, New England Aquarium: He ran auctions for all of them, and many more, with risque humor that often raised eyebrows. In a 2015 Globe interview, Flynn said he sometimes conducted five charity auctions a week. “He was the one to go to,” said Monica Stevenson, a board member of JB’s Keys to MD, a Dover nonprofit that raises money to fight Duchenne muscular dystrophy and once hired Flynn for its gala auction. According to an affidavit filed by FBI Special Agent Kevin McCusker, Flynn used his sprawling connections to persuade some people to contribute to “private investment funds” supposedly generating a rate of return of more than 200 percent. He got others to loan him money to purchase properties that, unbeknownst to them, he already owned, telling them their money would be used to buy, renovate, resell, or rent the properties at a substantial profit, prosecutors say. Flynn is also accused, according to the FBI, of forging financial documents to make his funds look more valuable than they were, and using investor money to repay prior investors or for personal expenses, such as a $100,000 renovation of the basement of his Milton home. 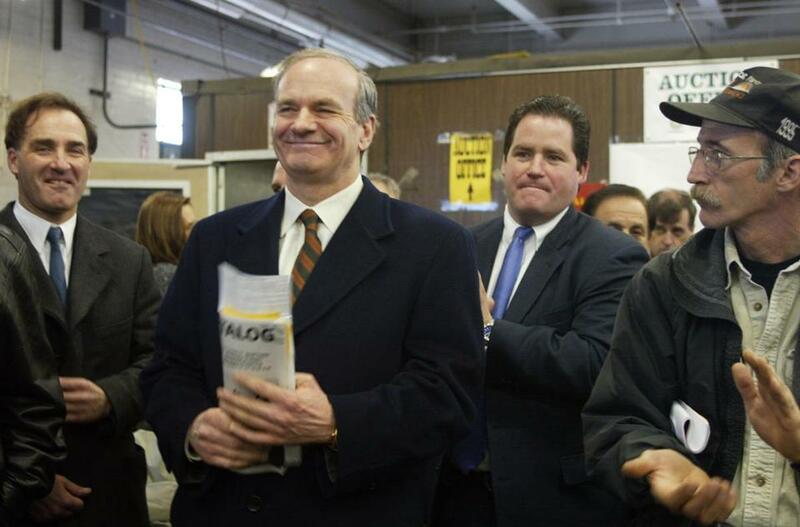 Dan Flynn (right) was joined by car dealership owner Dan Quirk of Braintree (center) and his attorney, Frank Marinelli (left) during an auction for the Fore River Shipyard land in Quincy in 2003. Barred by the US Dept. of Justice from working in real estate, Flynn was until recently selling cars at a Quirk Chevrolet in Braintree. Prosecutors say Flynn frequently changed the names of his businesses to conceal his fraudulent activities, operating variously as the DJF Real Estate Investment Opportunity Fund, Opportunity Holdings, Bayfield Opportunity Fund, and Fenway Auction Group. In 2012, according to McCusker, Flynn was confronted by some of his investors and admitted to falsifying documents. He was hit with multiple civil lawsuits in Norfolk Superior Court, alleging combined losses of more than $9 million. Finally, in August 2015, Flynn’s business world crashed. He was arrested at his home by the FBI and indicted in US District Court the following month. In court Wednesday, Flynn told Judge Rya Zobel that he sometimes took investors’ money even when he knew he couldn’t finish his development projects. Asked how likely it is that Flynn will reimburse his victims, Paul J. Hogan, a Canton lawyer who represented him in some of the Norfolk cases, said, “From what I’m aware of, I don’t think it’s very good,” noting that he stopped sending Flynn invoices because Flynn had been unable to pay his previous legal bills. 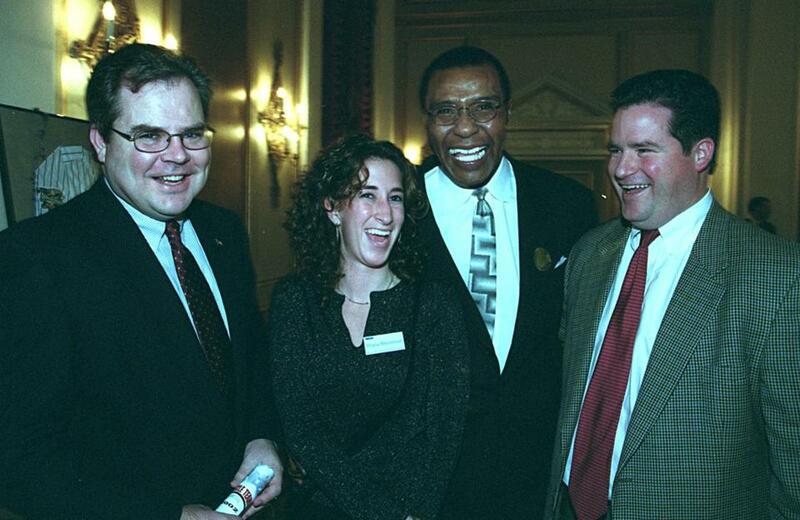 Dan Flynn (right) posed with Steve Colman of Quincy, Shana Masterson of Pawtucket, R.I., and Celtics legend JoJo White at a Muscle Team Boston event in 2002. Another person who lost money to Flynn was Alexander (Alec) Petro, founder of the Duxbury investment firm Bay Hill Capital Management. He partnered with Flynn in some real estate dealings in the late 2000s and invested at least $800,000 with him, according to court records, but later discovered Flynn had misused the money. In December 2014, Petro killed himself at his Duxbury home at age 51. “This has been very difficult on a lot of people, and my heart goes out to everybody touched by it,” said Quincy Mayor Thomas Koch, who attended elementary school with Flynn at Sacred Heart Parish.